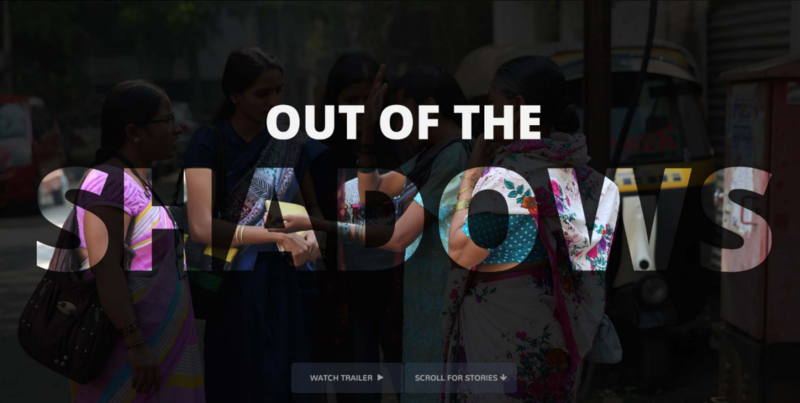 A screenshot from the Global Reporting Centre's project "Out of the Shadows." “In Collaboration” is a special series on collaborative journalism that MediaShift will publish throughout the summer. Click the image for more on this series. Great works of journalism often begin with a compelling character — a victim of corporate malfeasance, a whistleblower within government, a globetrotting renegade with a story to tell. But Peter Klein, director of the Global Reporting Centre and associate professor at the University of British Columbia, says he’s increasingly finding a difference source of inspiration for his team’s projects: the bookish academics who work down the hall. The Vancouver-based Global Reporting Centre officially launched this spring, but it has roots in the student-driven International Reporting Program, which Klein founded at UBC eight years ago. The Centre’s forerunner tackled ambitious reporting projects around the globe, including investigations into illegal logging, toxic electronic waste dumps, and the challenges of treating mental illness in developing countries. Unlike the student program, the Centre features a full-time staff and a network of award-winning contributing journalists, but its mission — to highlight neglected stories around the world –is the same, as is its symbiotic relationship with academia. According to Klein, university collaboration is central to both the Centre’s business model and its editorial process, beginning with step one: Deciding what to cover. While university scholars can make a great first point of contact, Klein says the Global Reporting Centre also uses them as a final line of defense against off-the-mark journalism. Klein’s solution is to bring academic researchers into the newsroom as ad hoc editors, tasked with evaluating whether the journalistic stories accurately reflect bigger issues and themes. He admits that inviting university scholars into editorial meetings can cause a culture shock (“They speak a different language, and they take like 50 minutes to explain one point,” he joked) — but the upside is high. Like many investigative reporting non-profits, the Global Reporting Centre receives much of its funding from syndication fees and philanthropy. But Klein says the Centre’s revenue mix also includes a secret sauce: academic grants. As a result, Klein says the Global Reporting Centre has received academics grants “in the six figures” for projects that help make complex ideas and issues accessible to the public. Those grants support partnerships with academic researchers to tell deep, nuanced stories, as well as to distribute the stories in creative and engaging ways.